Hello! 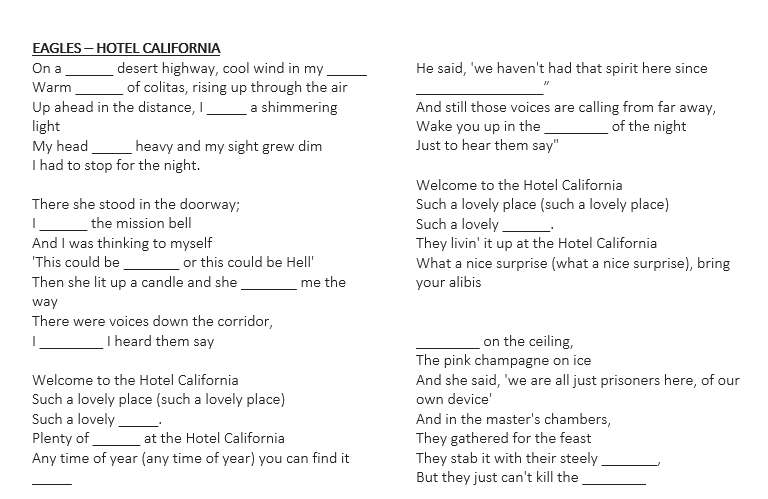 The first part of the worksheet is a simple listening comprehension exercise in which the students must listen and complete the lyrics of the famous song "Hotel California" by the Eagles. 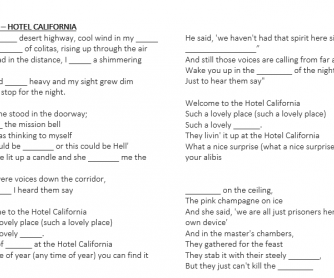 The second part of the worksheet is a reading comprehension exercise that talks about the song and some of the theories about the meaning of its lyrics. I hope your students enjoy it as much as we did!